A quick update on the collaborative book, started here at window874. 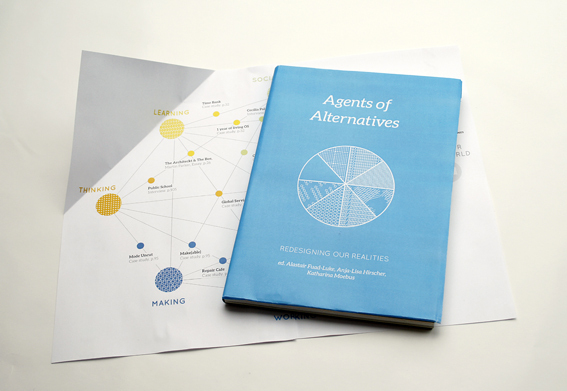 We recently launched and shared our crowd funding campaign at sponsume: http://www.sponsume.com/project/agents-alternatives-redesigning-our-realities which will still be up and running for 6 more days, so you can secure yourself a unique first-edition copy, and contribute as well. Besides that, the book is growing with many great new contributors. Among others there are Valerie A. Brown and John Harris, co-authors of ‘Tackling Wicked Problems – Through the Transdisciplinary Imagination’ (2010) http://www.routledge.com/books/details/9781844079254/ and ‘The Human Capacity for Transformational Change: Harnessing the Collective Mind’ (2014)! There is also going to be an essay by: Frigga Haug, sociologist and philosopher, http://www.friggahaug.inkrit.de/, http://www.zeitwohlstand.info/. Below is the current list of our contributors, with more to come. 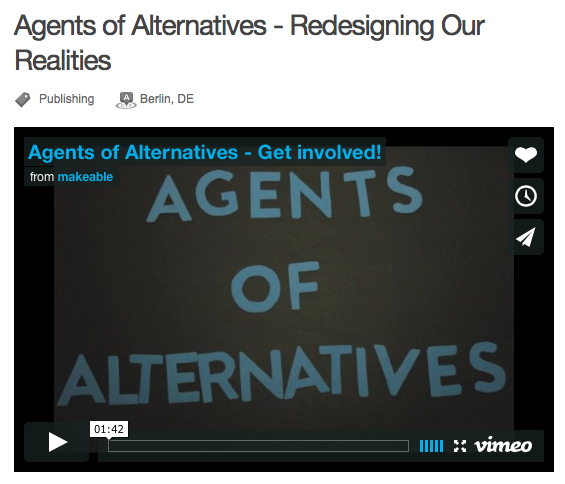 If you have an interesting project in mind, you would like to share with us, just drop us a line at: agentsofalternatives@gmail.com. … and the case studies you suggest! and the contributing editors – Alastair Fuad-Luke on design activism and design for social innovation; Katharina Moebus on mutual learning; Anja-Lisa Hirscher on participation in making; and Cathérine Kuebel on socio-poetic nomadism.